For one glorious decade, they were kings. Pontiac Chief Engineer John DeLorean gambled and swung for the fences when he decided to put a large engine in a mid-size car, but the Pontiac GTO was a home run indeed. Others followed: the Mustang, the Camaro, Trans Ams and Cougars and ‘Cudas. The engines were big, the colors were wild, the designs were some of the most striking and gorgeous things ever on four wheels. From the drag strip to the NASCAR oval and the California highway, the muscle car ruled. Their reign wouldn’t last forever. Factors like the oil crisis of the ‘70s and increased emissions regulations brought the era of the muscle car to a close. The cars of that decade are still legendary, though. This exhibit celebrates those fast, beautiful machines and the ones who built and drove them. 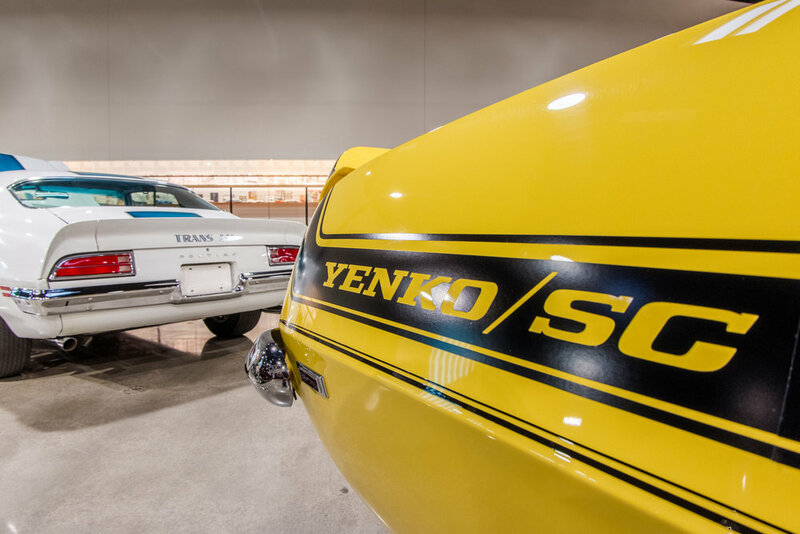 "AMERICAN MUSCLE CARS" RUNS THROUGH DECEMBER AT WORLD OF SPEED — DON’T MISS IT! Come see "American Muscle Cars" at World of Speed, ENDING DECEMBER 31!